We Flowrence Overseas, are an ISO 9001:2008 Certified manufacturer and supplier of Door Handle, Door Accessories, Bathroom Accessories, Cabinet Handles, Door Eye, Lock, and Lock Body and much more. 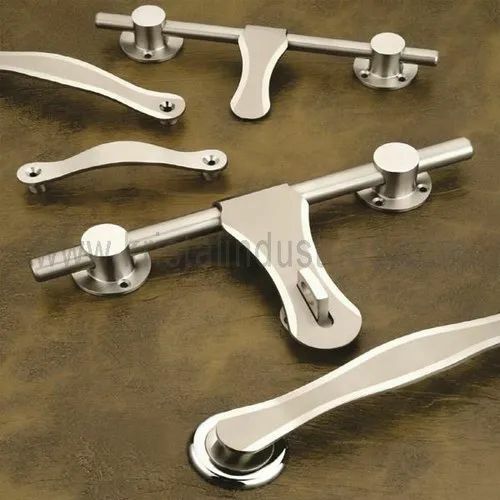 We, Florence Overseas, are an ISO 9001:2008 certified firm, which is one of the leading manufacturers and suppliers of Door Handle, Door Accessories, Bathroom Accessories, Cabinet Handles, Door Eye, Lock and Lock Body and much more. This range of door kits is made using premium grade raw material and modern machines in strict compliance with the industry laid norms and standards. Along with this, the offered range is widely appreciated among the clients for its longer service life, fine finish and stability.